Saturday, 20 April, 2019 1:17 a.m.
Soccer 5 fever has come to Sharjah, and it’s here to stay! Soccer 5 brings us the latest evolution of the world’s most loved sport. Simply set up two teams and you are all set to play. 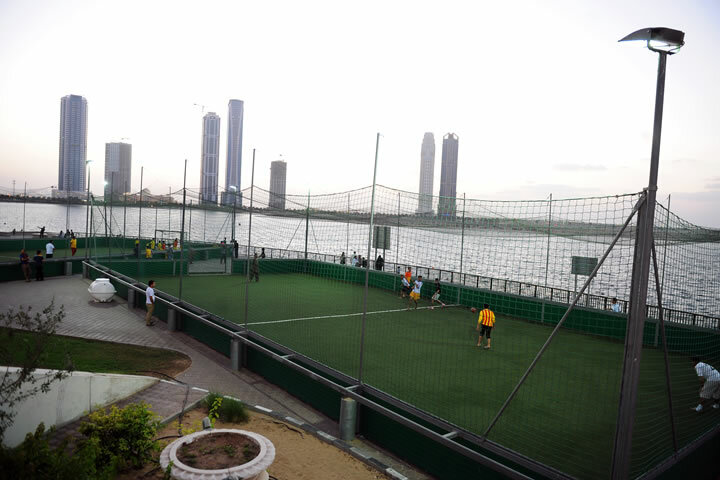 Soccer 5’s top safety-rated facilities have fields with rebound walls and netting, so the action never stops! It doesn’t matter if you’re novice or pro, these games are always fun for all. For booking please call +971 52 801 6052. Al Qasba © 2019. All rights reserved.